Like most things, during any kind of move, accidents do happen. The best way to avoid damage to any of your household goods is to research several professional movers who offer packing services. By doing, this, you can significantly reduce the risk of damage. But, if you choose to do your own packing, here are five tips to help protect your goods. Since electronic items tend to be easily damaged, they should be packed in their original boxes when possible. If you don’t have the original box, use bubble wrap and a box close to the size of the item. Be sure to put the power cord, remote, and owner’s manual in the box. Be sure to use enough bubble wrap, or you use towels, t-shirts, anything else soft to help pad the item while it’s in the box. Anything made of glass, china, or ceramic is a prime candidate for breakage during moving. 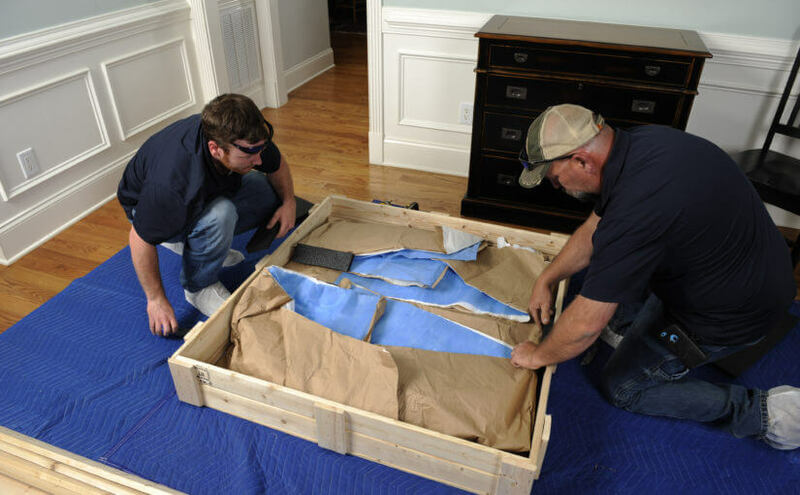 Professional movers place a thick layer of bubble wrap on the bottom of the box and then stack the plates on their sides in the box with packing paper between each plate. Use more packing paper or soft cloth items to fill in any voids and stop the plate from moving around in the box. For more information on packing delicate glassware contact your local moving experts at Advantage. Find a box or crate for the item and pad the bottom with crumpled packing paper, lay the painting down and filled the void with more packing paper or bubble wrap. If the item has a glass front, wrap it in bubble wrap before putting it in the box. Find the right size box, add a layer of towel or bubble wrap to the bottom of the box, add the lampshade and then add another layer to the top of the lampshade, finally close and seal the box. While many unprofessional movers don’t bother trying to protect furniture because of the awkward shapes, it should be protected. Remove everything from any drawers then wrap your furniture in thick moving pads to keep it safe. Drawers and any other removable parts should be protected with bubble wrap. These are some of the things professional movers do to protect your household good during a move. If you think hiring the pros might be a better choice, contact Advantage Moving and Storage at (847) 584-3908 and talk to our moving and packing experts.